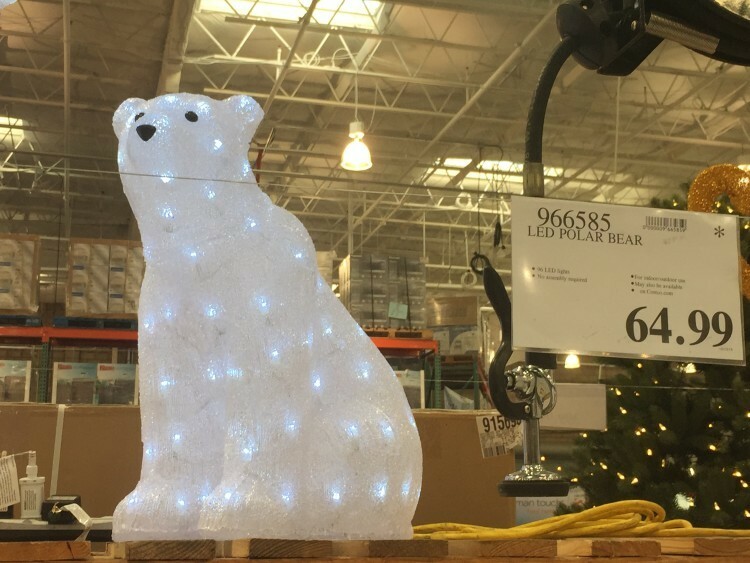 This LED polar bear is 21.8″ tall, weighs 5 lbs and comes with 96 LED lights. 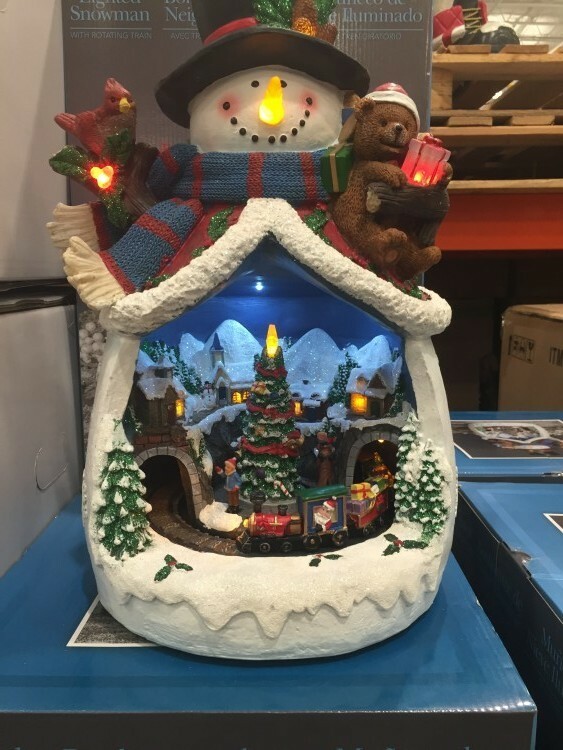 This single level snowman indoor decor features a rotating train and plays 8 holiday songs. It also has a volume control. Dimension is 17″ by 11.4″. This wood-like reindeer set comes with 2 pack deer, 2 faux pine-cone/evergreen corsages. It can be placed outdoor. The standing deer weighs 19.8 lbs with dimension 24.7″ x 11.41″ x 41.4″. 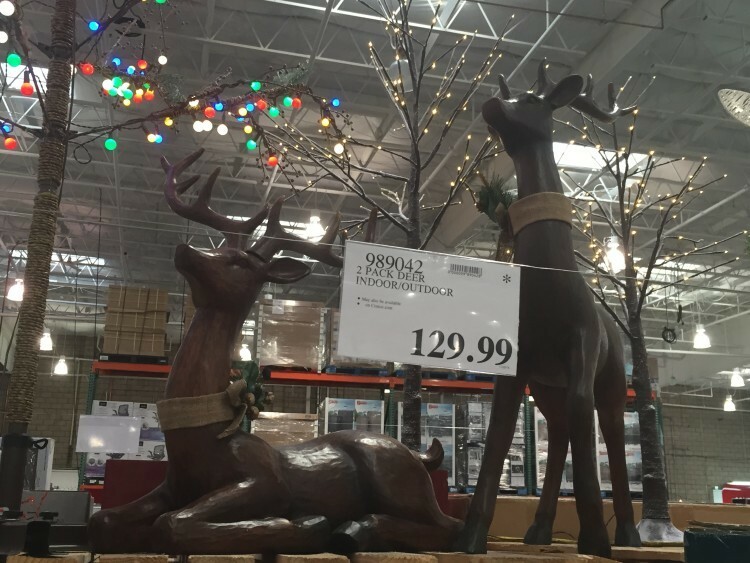 The lying deer weighs 12.1 lbs with dimension 26.4″ x 13.7″ x 26.6″. 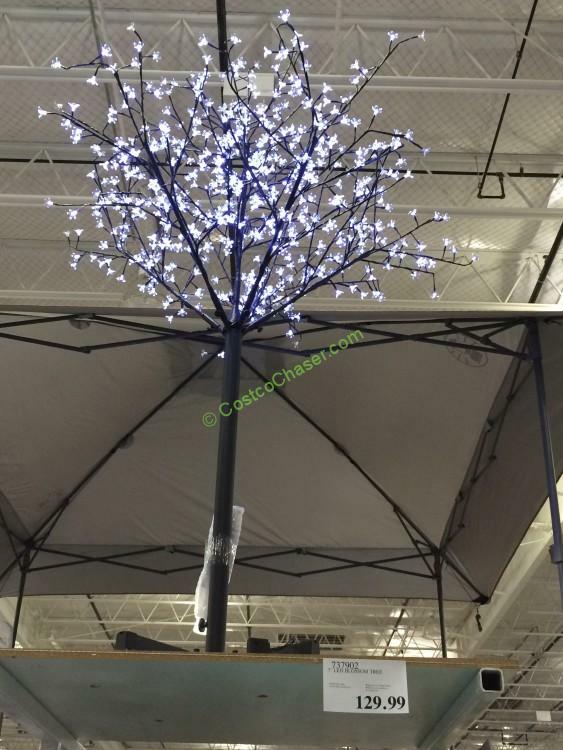 This 41″ tall LED Star comes with 64 LED lights, supported by 4 metal stakes. It can be used outdoor as well as indoor. 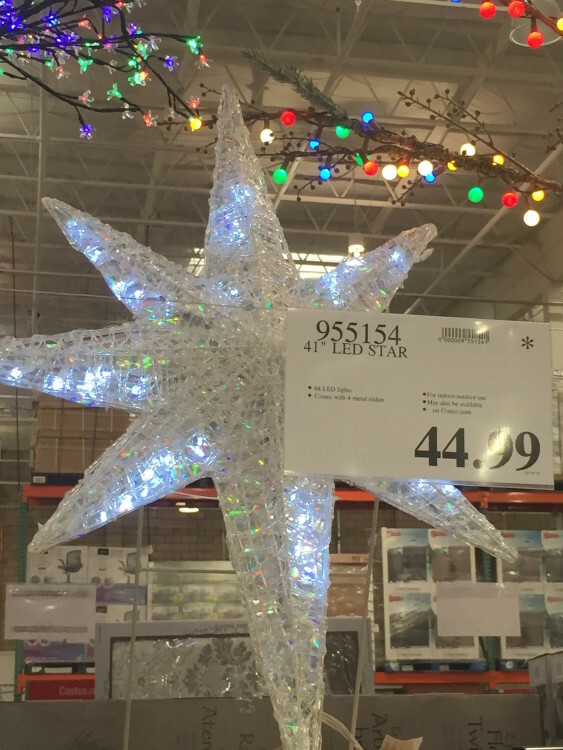 It’s Costco warehouse only. 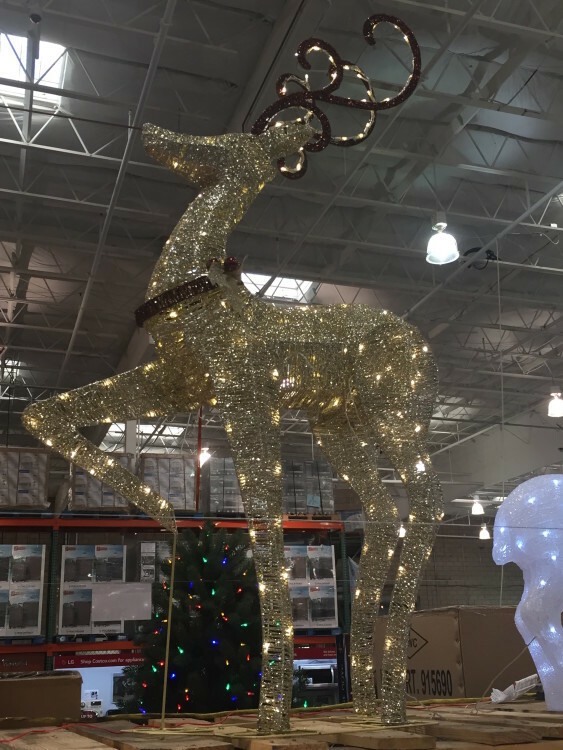 This 60″ tall deer comes with 210 LED lights. 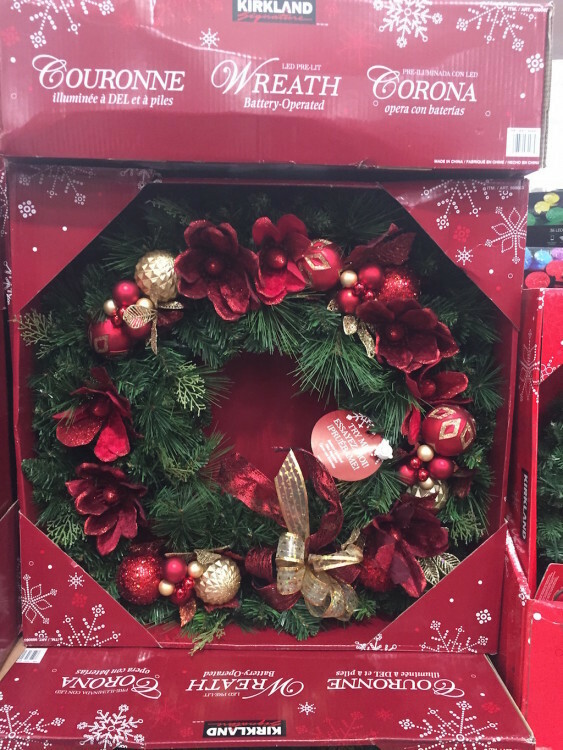 Make it a new addition to your holiday décor. 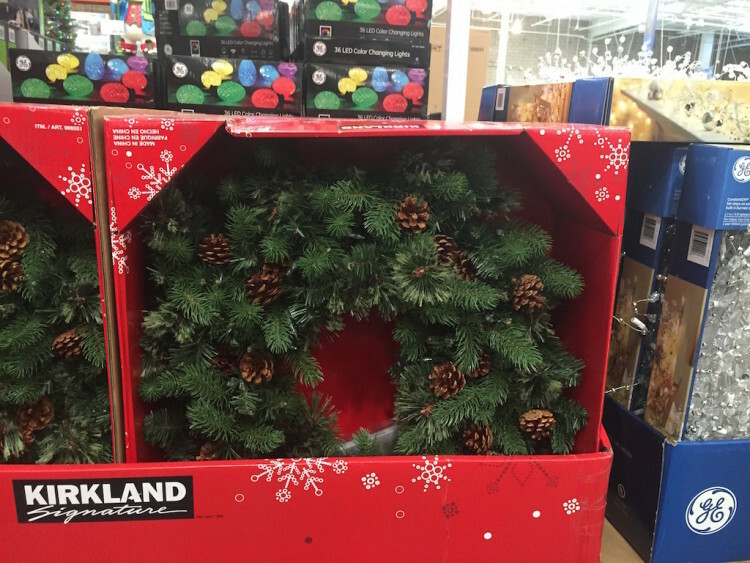 The wreath features 80 LED lights. It can be used indoor as well as outdoor. The timer is 6 hours on and 18 hours off. Operated with 3 “D” batteries.